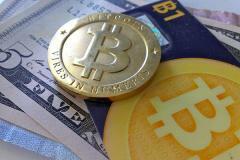 Not too long ago, bitcoin was almost exclusively the legal tender of hackers. Today, thanks in part to the Cyprus bailout saga, it’s on the radars of investors everywhere. While the digital currency has been around since 2009, it has largely stayed in the background—occasionally jumping onto people’s radars, but usually fading away just as fast.